Continuing with the same theme as last time, the panel-construction. Now I’ll show you some other shapes you can create by using this technique. 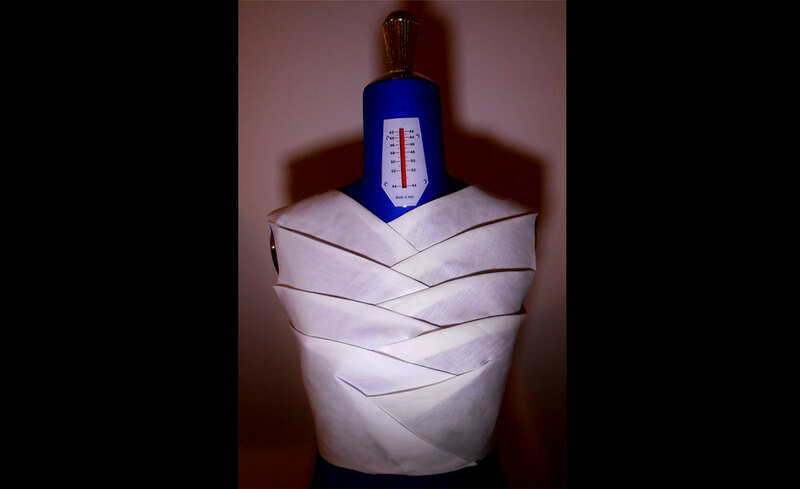 If you’re looking for ways to make sculptural garments, this could be one option. Besides the outcomes, also the patterns look quite amazing. I gathered a few examples here. So just decide the amount of panels first, and divide your pattern-piece accordingly. Let’s start from this sculptural sleeve I made last year. The starting point is a basic sleeve-pattern with very little ease. I divided the area into 8 panels. There’s a seam between each panel, right? Every time there’s a seam, it means you have the possibility to add a shape to it. So I added the spikes. The shape has to be identical on both sides of the line that separates the panels, because they will be sewn together. The spikes here are biggest in the centre of the sleeve and become smaller towards the edge, because it’s the underside of the sleeve. After you’re done adding the shapes, add numbers and copy each panel. I colored the panel number 4 to demonstrate how to copy the panels. It might take some time to train the eye to see which lines to follow, but in the end you’ll make it! Continuing with the spiky shapes. I chose this sculptural bodice -design to show that you can separate an area from your garment and add panels to that part only. In this case I separated the bodice in two at bust-level and the panels go only to the upper part. Otherwise this is very similar to the sleeve-pattern. I divided the area around the neckline into 6 panels and added the shapes between them. This is the original toile I made before the ½-scale skirt I showed in the beginning. This is a bit more complicated, as I wanted to try a a twisted shape, resulting in two overlapping rows of curves. First I divided the pattern into 10 panels. Then I divided the waist-dart between all the new seams. There are two zones that overlap in the middle, so I drew two horizontal lines to separate the overlapping area. The curves alternate between the upper zone and the lower zone. This is probably easier to see from the picture than to explain! The colored panel is definitely a must this time. These are the pattern-pieces. 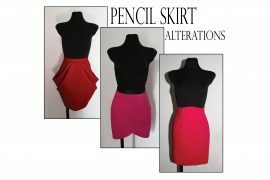 Just remember to copy them from the correct side of the tiny darts, or you’ll end up with a skirt that is too large at the waistline. 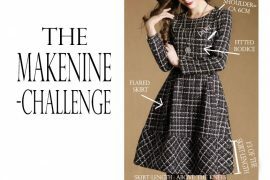 The fast and easy version of a panel-skirt! As I said last time, this would be your choice in case of a flared skirt. You’ll only need to draft one panel. So decide the number of panels and divide your waist-measurement by that. -My skirt has 32 panels. -That’s the starting width of your panel. You might also need the measurement of the moving-space for your legs. And the length of your skirt of course. This was my panel. The central line helps to draft a symmetrical shape. You can just fold it and copy the shape from one side to the other. 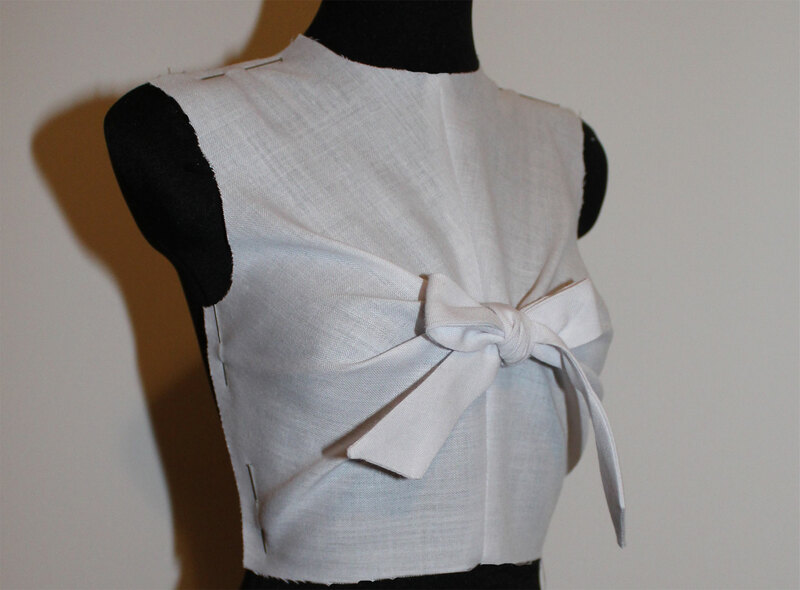 This toile was an experiment. I left it wrong side out as it looked quite nice. I think it would work best in a crisp fabric, such as organza. These kinds of garments will need a flat base underneath. So a lining is a must. Otherwise they won’t keep the shape of a garment. You can use the same pattern you have before adding the panels. If it’s easier, you could have a separate flat base and a lining. 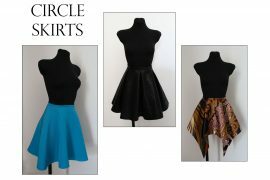 When it comes to the sculptural skirts, they’ll need a construction underneath that supports the shapes: wires and/or hoops. In any case it’s always a good idea to make a toile first. Have fun experimenting with different shapes! This is so exciting. 🙂 Thank you for sharing. I know! 😀 One of my favorite techniques. You’re welcome.